Kansas guard Sviatoslav Mykhailiuk (10) tries to squeeze between Texas Tech guard Brandone Francis (1) and Texas Tech guard Jarrett Culver (23) during the second half, Tuesday, Jan. 2, 2018 at Allen Fieldhouse. Texas Tech coach Chris Beard was brutally honest during his postgame session with the media following Tuesday’s 85-73 victory over 10th-ranked Kansas. 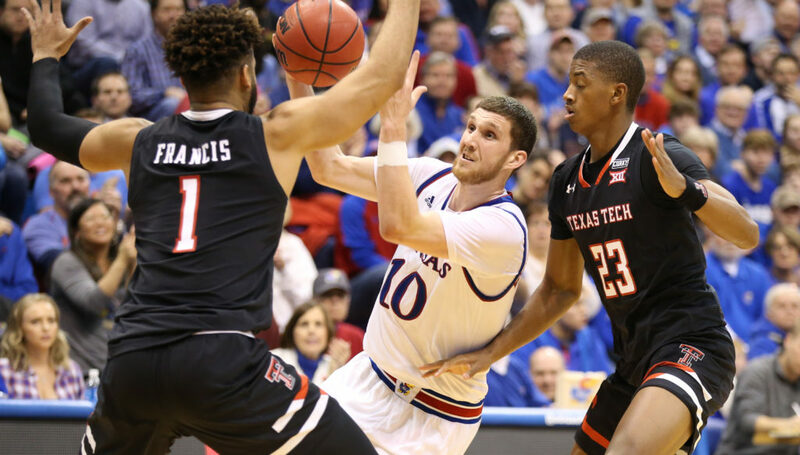 The Red Raiders (12-1 overall, 2-0 Big 12) did exactly that from start to finish, leading for 39:31 minutes of Tuesday’s delicious victory and never seeing KU crawl closer than six after an early bucket pushed Tech’s advantage from 10-5 to 12-5. Asked what advantages he used to exploit the Jayhawks in this one, Beard again hit hard with the truth. 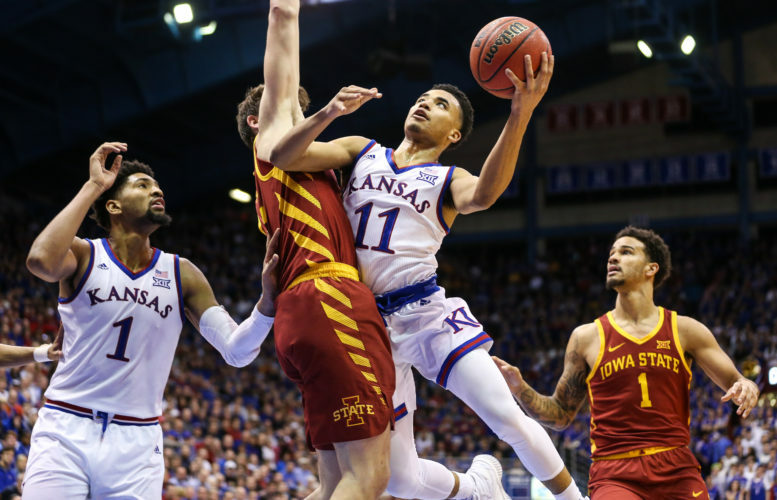 One big plus for the visitors on Tuesday night was their ability to slow down KU’s 3-point shooting. Four nights after seeing Kansas hit 17 of 32 3-pointers in a road win at Texas, the Red Raiders limited Kansas to 6-of-26 shooting from 3-point range, for 23 percent. 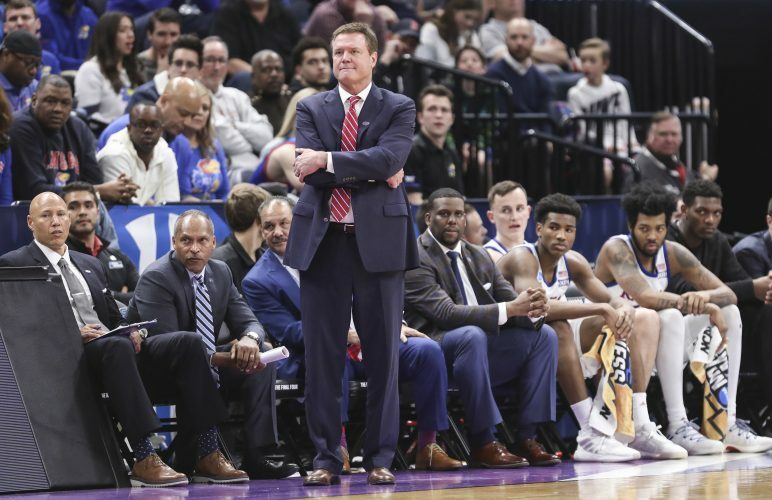 After a couple of days of rest, sophomore center Udoka Azubuike played 28 minutes and finished with 11 points and seven rebounds in KU’s loss to Texas Tech. Most of it was pretty insignificant. Azubuike said after the game that his back was “better” and Self agreed. Texas Tech went with five seniors in the starting lineup on Tuesday night, making the Red Raiders one of just two teams in the country to start five seniors in a game this season, along with Mercer. Drake, Idaho and Purdue all have started four seniors in their starting five this season and Kansas, of course, starts two in Devonte’ Graham and Svi Mykhailiuk. Two days after leading the Kansas City Chiefs to a three-point win in Denver, K.C. quarterback Patrick Mahomes II was in Allen Fieldhouse cheering on his alma mater. 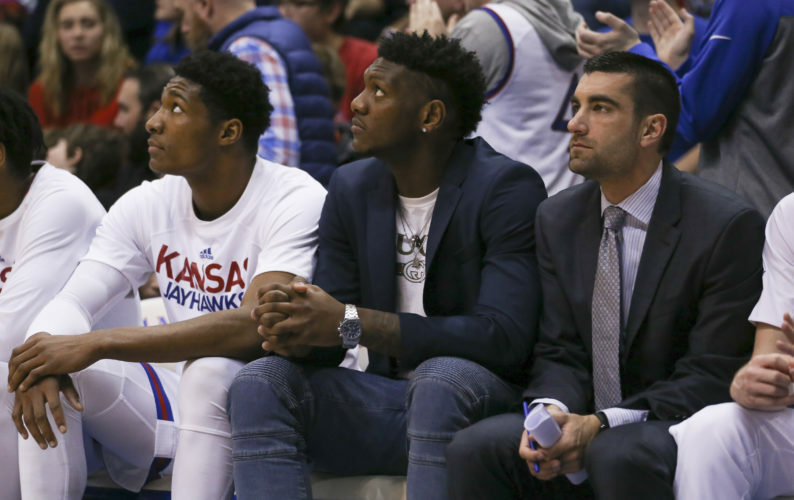 Mahomes, who starred at Texas Tech from 2014-16, sat a few rows behind the Kansas bench wearing a black T-Shirt and left the building just before the final horn sounded. 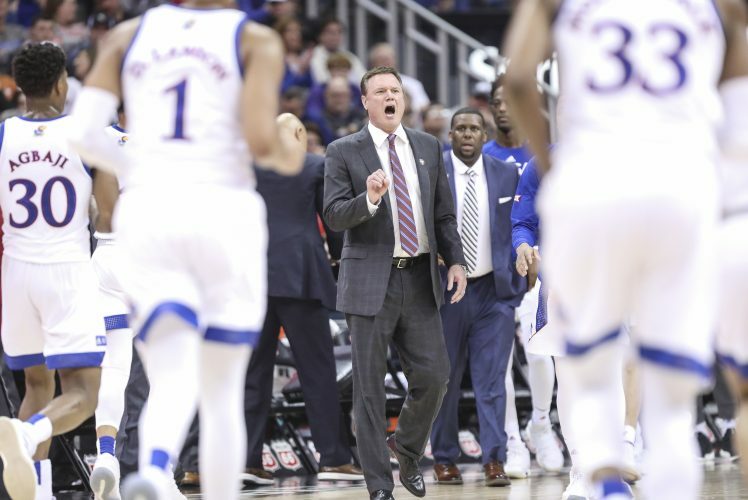 KU falls to 1-1 in Big 12 play for the first time since the 2005-06 season… The Jayhawks now lead the all-time series with Texas Tech, 33-5, including a 17-1 mark in games played in Lawrence… Kansas now has lost two games at Allen Fieldhouse in a single season for the first time since the 2006-07 season and the third time in the Bill Self era.